Yes, you are prophets too. Not in the narrow sense of those specially chosen people with miraculous abilities, directly revealed messages from God, and authorship of a book of the Bible like Daniel or Ezekiel. 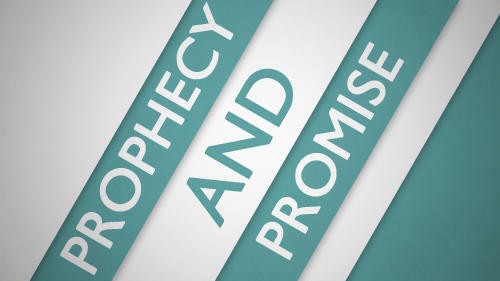 But you are indeed a prophet in the wider sense of one who speaks God’s words and carries God’s power and authority. Joel foretold the New Testament age that dawned when the Pentecost miracle occurred (see Acts 2). We are still riding the waves generated by that mighty outpouring of God’s Holy Spirit, and one of the characteristics of this new age is that all Christians are priests of God and have a personal prophetic ministry. Here’s your commission: “Afterward, I will pour out my Spirit on all people. Your sons and daughters will prophesy, your old men will dream dreams, your young men will see visions. Even on my servants, both men and women, I will pour out my Spirit in those days” (Joel 2:28,29). Are you shocked at this honor? When people hear you tell the Bible stories and pass on the warnings and promises from the Word, they are hearing the very voice of God himself.